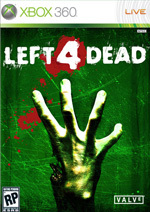 flashzombies.com - "Left 4 Dead"
This game is fun, your not in a mall, your not a cop. 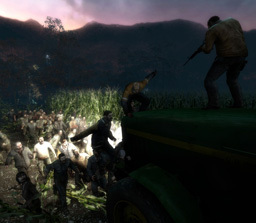 You are stranded surviors completly different from each other trying to stay alive. This game is non-stop zombie killing fest. The zombies come at you so fast, sometimes you can't tell where they are. 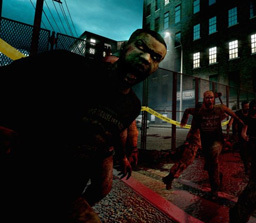 In this game you get more than just zombies that rush you, you get huge monsters too! Couple words of advice, watch out for the really fat zombies, they explode on and all over you. It's fun to watch the explosion from afar. Some things are silly, everywhere you go is a pile of ammunition, explosives and medical packs. Through the whole game I wasn't bitten once, just beaten down to a zombie pulp. So no chance of getting infected and turning into a zombie in this game. The game was made by the same people who brought us "Counter Strike", it's worth it to own. Some games have some replay value, this one has tons, you can play with random people online or with friends. The one player mod is awesome too. Gameplay took a few minutes to get used to. You can all jump pretty high, and move really fast. But once you get used to the cameras and buttons, its all zombie brain gravy. Just be ready to loose health fast, you can only carry a very limited amount of ammo, and health. So always be sure to have a Medical pack and Pills handy. 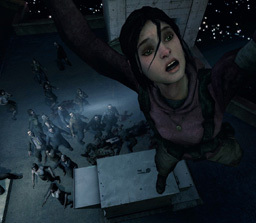 Whenever someone on your team dies, they get to come back, after your living teammates find you (as a survivor). Then its back in the action. So the game really can go on forever. It's just good ol' zombie arcade killing fun. Definatly worth the buy. What do you think of this game? 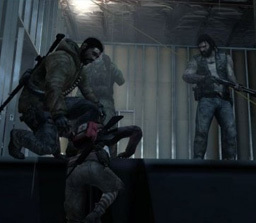 Click here to discuss Left 4 Dead in our forum.